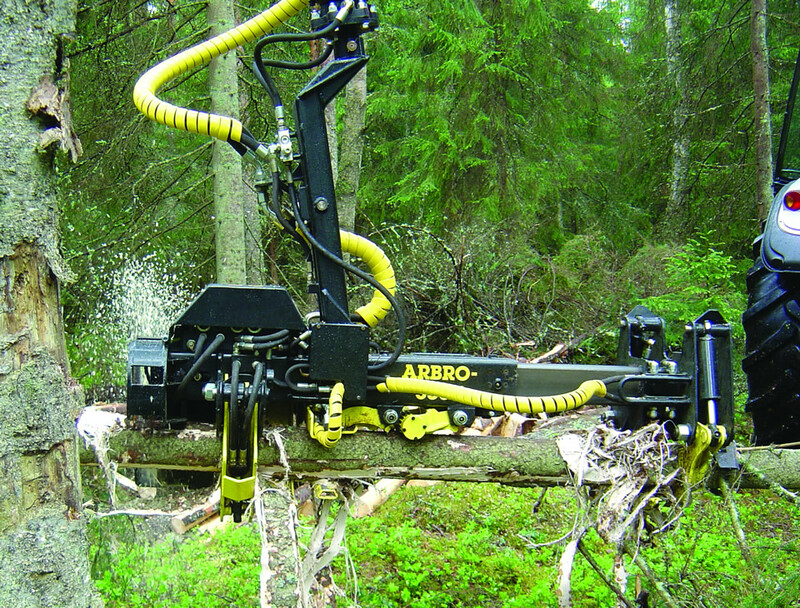 Arbro-Stroke is a stroke harvester, which fells, delimbs and cuts trees to length. Arbro-Stroke harvester is available in two models that can be easily installed on a standard loader. Arbro-Stroke 400 is especially meant for thinning operations and Arbro-Stroke 1000 can also handle bigger tasks. Compared to other same size harvester heads the Arbro-Stroke has a lot of delimbing power. 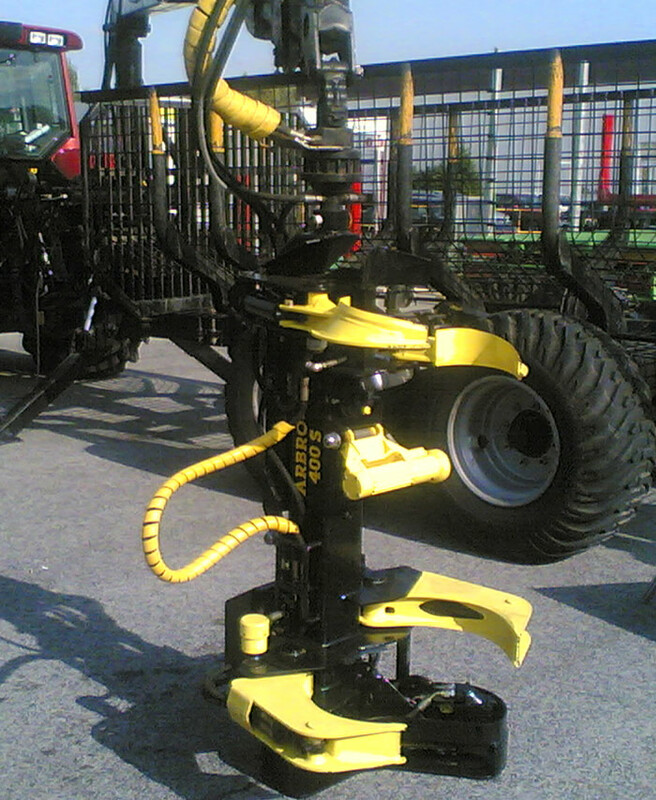 Arbro-Stroke can easily be connected and disconnected on the rotator of the loader. And most common farm tractors have enough hydraulic power to operate model 400. Model 1000 requires a heavier carrier. A good choice would be an excavator. The harvester has a superior quality measuring device that makes the production highly efficient. The exceptional measuring device comes as standard equipment. The harvester head is equipped with a reliable Volvo saw motor. The cutter bar is available in the size of either 14'' or 16'' for model 400 and 20'' for model 1000. The operating handles have been designed for professional use. 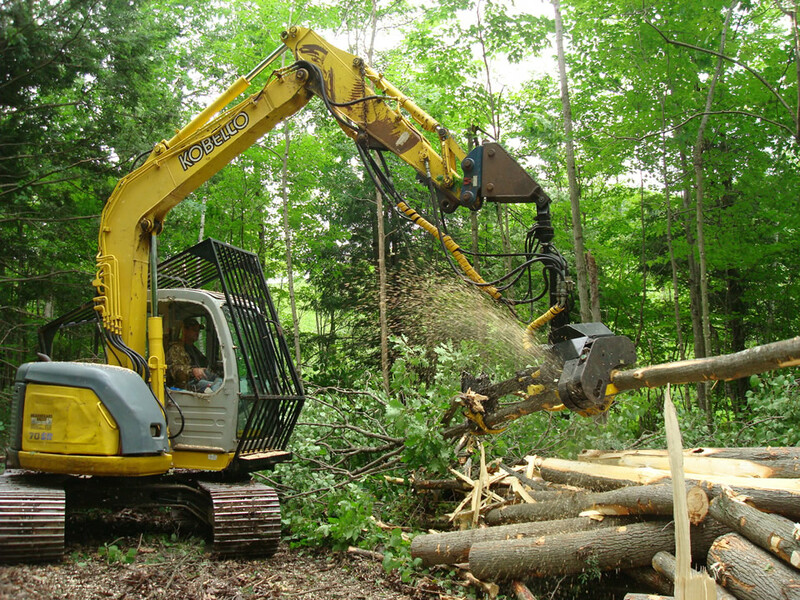 The design of them makes the use of the loader and the Arbro-Stroke harvester head a pleasure. The harvester has an automatic stroke and the tree can be delimbed with a one-button function. 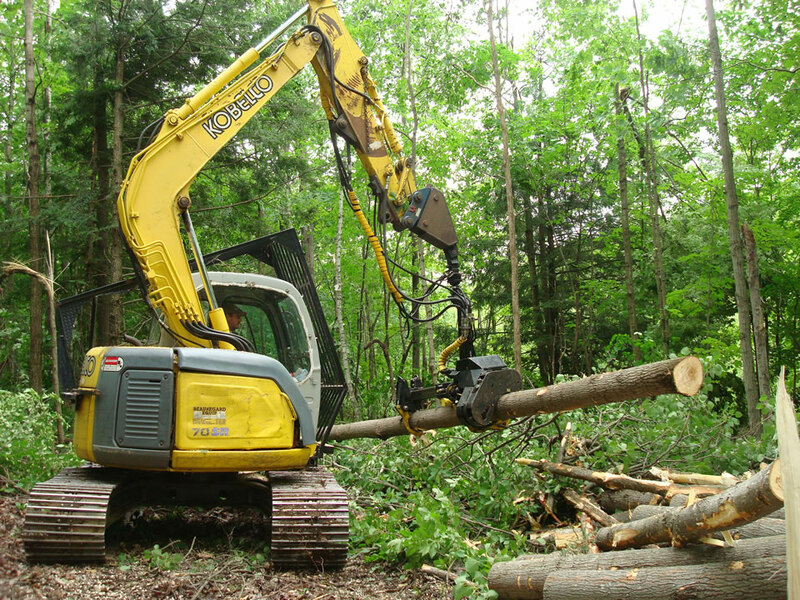 Arbro-Stroke is equipped with a measuring device and the stroke will stop at the pre-selected length for the log to be cut. The measuring device can be programmed for various pre-selected lengths. In addition any length can be chosen at any time. As optional equipment the thickness of the log can also be measured. The delimbing knives and grip arms can be opened separately. Saw Bar 14" or 16" 20"